Chabad of Windsor Terrace proudly serves our local community with loving kindness. We rely on input we receive from you to improve our services. Please fill out this survey and give us a better idea of how we can serve you best. As you answer the questions, please remember, we keep all replies confidential. We thank you in advance for your valued feedback. 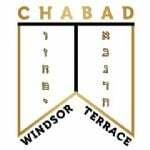 What do you most enjoy about Chabad of Windsor Terrace? Do you have a child or grandchild away at college? Let Chabad of Windsor Terrace invite your student to enjoy Shabbat dinner, meet new friends, and renew Jewish values. Please share their information and we will do the rest. Would you like to study one-on-one with the Rabbi the topic of your choice? Do you have a relative or friend in this or any other community who would welcome a visit from a Rabbi? Please list them below. Many people like to leave a gift to charity in their will. Would you consider leaving Chabad of Windsor Terrace in yours? I have already included Chabad of Windsor Terrace in my will. I would definitely include Chabd of Windsor Terrace in my will. I would like to speak to someone about including Chabad of Windsor Terrace in my will. I am not interested at this time. What would you suggest we do to enhance the success of Chabad of Windsor Terrace?